For many of us it is easy to go online for the latest news or check our email from the comfort of our home because the internet is so accessible; however, for many families within our District, accessing the internet at home is impossible because there is no computer in the home. This creates a real struggle for many children who are unable to complete their assigned homework or to research a topic on the internet from home. With an $800 grant from the Kiwanis Cal-Nev-Ha Foundation, the Kiwanis Club of Costa Mesa was able to bridge the digital divide for 19 low-income children by providing these students with their very own Chromebook as part of a larger back to school shopping spree. In preparation for this project, the club worked with their local Boys and Girls Club who selected 24 children in grades second through seventh to participate in the club’s Kelly’s Closet event. Each child was partnered with a Service Leadership Program (SLP) member from the Key Clubs of Costa Mesa High School, Estancia High School, and Early College High School, or with a college student from the Orange Coast College Circle K club. 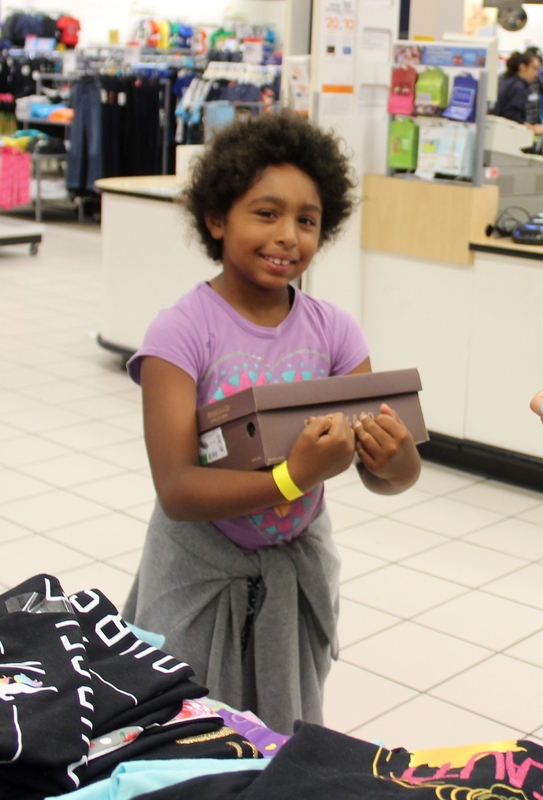 The SLP members helped the students to pick out new clothes and shoes in preparation for the new school year. Following the shopping spree, 19 of the students were surprised to learn they had been selected to receive a Chromebook. Click here to see the students’ reactions when they learned they were getting a Chromebook. It is through cooperative efforts that the Costa Mesa club was able to provide families with the essentials for their child to succeed this year in school.